In exercise is designed to study the finite square well and to show the shooting method works. 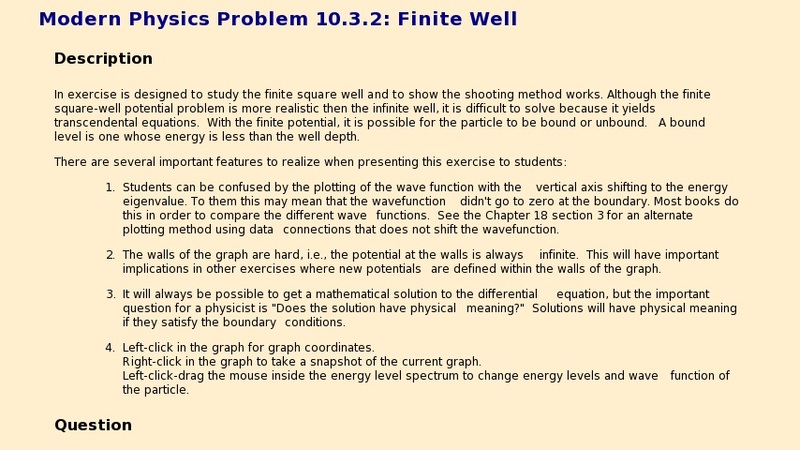 Although the finite square-well potential problem is more realistic then the infinite well, it is difficult to solve because it yields transcendental equations. With the finite potential, it is possible for the particle to be bound or unbound. A bound level is one whose energy is less than the well depth.